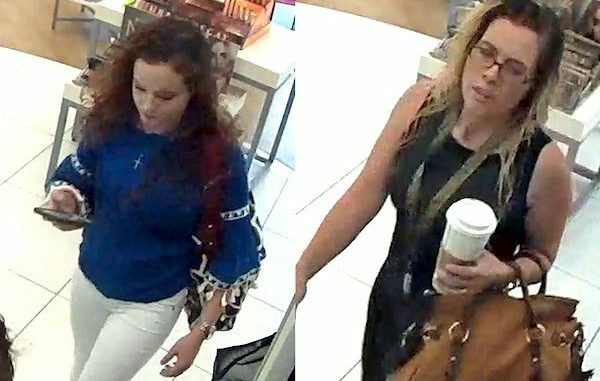 VERO BEACH – A Vero Beach beauty store has lost $1,800 worth of cosmetics and police are seeking help in identifying two women who were captured on video surveillance. The women were seen taking more than 30 items in their purses and leaving the Vero Beach store without rendering payment. 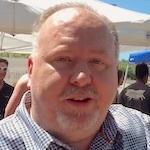 The incident happened on August 7 around 8:45 p.m.
Police said the women were captured on the store’s surveillance system. One woman is described as a white female, approximately 5’4″, 115 lbs, with long blonde wavy hair. Police say she was wearing a black dress, black shoes and glasses, and carrying a large brown purse. The second woman is also white, approximately 5’4″, 120 lbs, with long curly brown hair. She was wearing a blue shirt, white pants, and sandals and carrying a large giraffe-print bag. Anyone with information is urged to contact Officer Brumley with the Vero Beach Police Department at (772) 978-4604 or Treasure Coast Crime Stoppers at 1-800-273-TIPS.